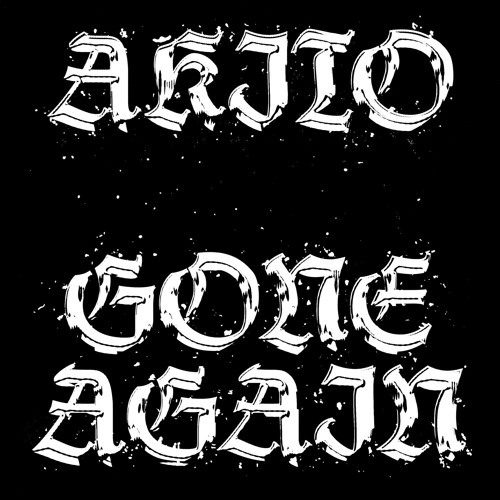 Taken from Akito - Gone Again LP Released: 16.11.18 Vinyl: https://www.juno.co.uk/products/akito-gone-again/706764-01/ Digital: https://bleep.com/release/118463-akito-gone-again Akito is the nodal point of east London’s club scene, the link through which many friend- ships and collaborations have been patterned. It makes sense, then, that his debut album Gone Again hits so many familiar vibes and moods for any listener plugged into London’s outsider party cycle. The tracks move from grimey saw waves to floating mesospheres, from broken 2-step rhythms into hard percussion and dancehall, without ever feeling misplaced or forced, a perfect representation of a living interaction of influences. Spirals and sequences, escalating dizzily upwards and brutally crashing back down on Tuesday: Gone Again is an incredibly honest statement. A catalogue of experiences and intensities is carved into these tracks. It’s a story of staving off the comedown and stopping by the 24 hour off-licence on the way to the next place, rolling over into day two, wondering if it’s too late to ever reset the imbalance of a few years of extremes. But it also holds out the mad thrill of being able to reach and sustain those levels, of making it to the next city for another night, or cloud-watching on a long-haul plane deeply enough to forget that the escape is only going to be short-lived. Every time a moment of angst is released into the album, whether through a distorted, punishing tom or an unsettled, homeless melody, a burst of optimism recuperates it. Whenever you think you might have given a bit too much away, or you get hit by a paranoid fear that you’ve been misunderstood in a new place or relationship, another synth-line breathes some energy back into you. A fresh connection, another friendly face, more nights on the carry-on. Back soon but always Gone Again.